Impossible not know Wikipedia is without any doubt one of the most successful projects free of the history of the internet, able to build a basic encyclopedia of human knowledge in dozens of languages. Thanks to a community of enthusiasts and readers’ donations, is consulted daily by millions of people to discover and learn basic information on various topics. Being on Wikipedia allows, potentially, to associate your brand or your company to a respected project, reliable and incredibly known. And to enjoy a reflex visibility, as the encyclopedia is well positioned on search engines, especially Google. But it is not all roses: corporate page on Wikipedia is subject to strict rules, otherwise it risks being “banned” (i.e. blocked and deleted) from the free encyclopedia communities. In this article, I’ll give you a few tips to build and publish a Wikipedia page for your business, be able to overcome all the pitfalls for approval. 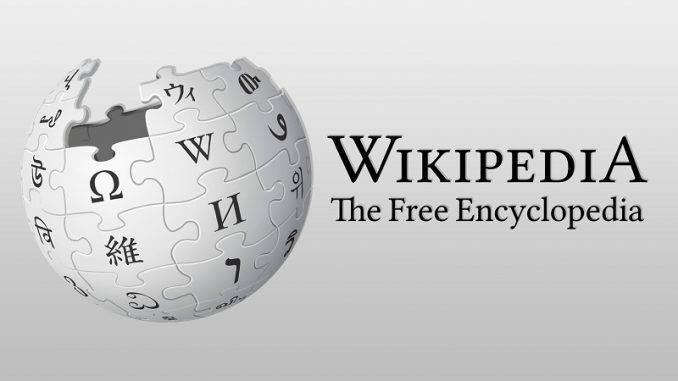 To understand the spirit of Wikipedia, it is important to introduce premised on the basic principle that governs the community of Encyclopedists, or the NPOV. The acronym stands for “neutral point of view”, which is the neutral point of view, and it signifies that the information published on Wikipedia and is consulted by its readers should not in any way be contrary to the principle of neutrality. In essence, the content is free and free of any commercial interest, political or religious. In the case of corporate pages, it is clear that the main point where you have to pay attention is the first: the information cannot be oriented marketing, but must and neutrally so describing the characteristics of what is described (i.e. the enterprise). First rule essential: avoid talking about “market leader”, “innovative” and whatever is not strictly true and rationally provable and verifiable. On your website (in the limits of ethics and the law) you can write what you feel, not on Wikipedia. Keep in mind that you’re writing about an encyclopedia, not on a corporate brochure. First of all, a basic premise. The companies that can publish a page on Wikipedia are those that have specific characteristics: they must be listed companies at least two years consecutive, or be involved in political or financial importance activities. To explore these criteria, it issued a Wikipedia page dedicated to the encyclopedic company criteria. For businesses, primarily Wikipedia has provided a specific snippet, or a window that lists and summarizes the most important information, at the top-right of the page. State (Country) where the company is located. Type of business (e.g. corporation). ISIN (i.e. the number of national identification of the shares). Date and place of foundation. Person who founded the company. Key people (President, CEO …). Revenue, operating profit and net profit. Slogan, motto and other signs re-cognitional company. Beyond these summary information, a business page on Wikipedia is divided into three main parts. The first is before the summary (the classic blue box that Wikipedia lists the following sections) and is a small paragraph that presents the company and its products. To write this part, which is the most important one, you should answer honestly and unambiguously the question: what information I can pass on to those who only have half a minute to read who I am? The second part is longer and more structured and consists of the sections you wish to add to the Wikipedia page. Among these, I suggest a history of the company, the main brands managed the main lines of product or service and a section dedicated to the curiosity that can cheer and entertain your potential customer who comes into contact with that information. Increase of authority: To be present online encyclopedia allows Google and users to identify your company as trustworthy and thick. Increase in social signals: A “no-follow” link is still a mention, a quote that helps to give value to your website. Of the first principle, we have already discussed in the introduction: everything you write and publish must be objective, rational and neutral; in one word, irrefutable. Avoid utterances and subjective phrases and forget the style that you would use in a landing page or in a leaflet. For hypertext, instead it intended the fact that the encyclopedia internal pages should have a link in every possible position, to allow at any time in Wikipedia users to deepen the different topics. Having a company page on Wikipedia allows you to increase the authority and social signals, obtaining benefits for both potential clients and search engines. Respecting the online encyclopedia rules (especially the “neutral point of view”), you can build free? Let, provided it respects the constraints of the medium. You can then enrich it in time with other information, such as images and additional sections, and connect it to specific categories to make it more visible online encyclopedia. Do you have any further curiosity on corporate pages on Wikipedia? Contact us for more information! See you soon!